Dr Soon was inspired to become a dentist as he has always been good with his hands. Combining that skill with a healthy interest in science, dentistry made sense to him. He earned a Bachelor of Dental Surgery (B.D.S.) from the University of Adelaide in 2014. He takes professional development courses to stay abreast of the latest in dentistry. For Dr Soon, it’s gratifying to be able to treat patients and improve the function and appearance of their smiles. He also enjoys a healthy work-life balance. When he’s not at the practice, Dr Soon enjoys keeping active. He likes going to the gym and rock climbing. When he wants to relax, he enjoys staying home with a good book! 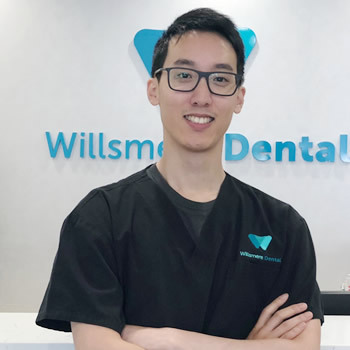 Contact Willsmere Dental today to book an appointment with Dr Soon!